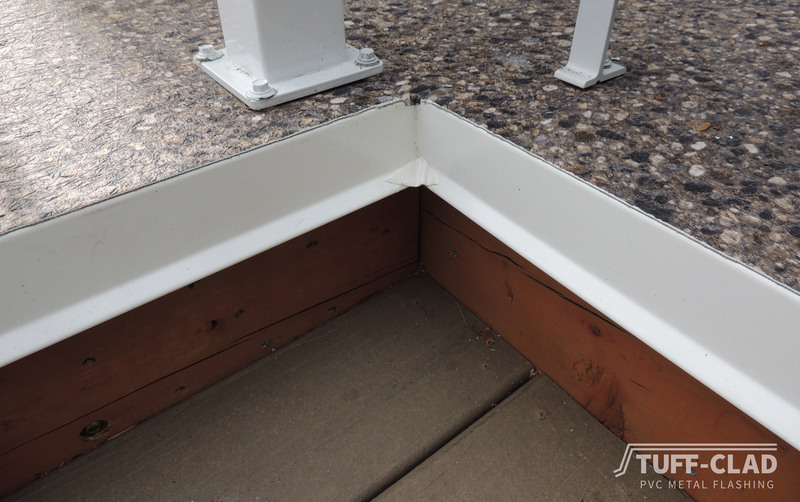 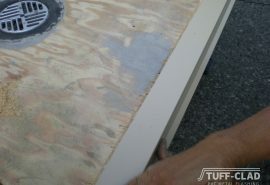 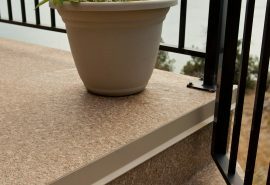 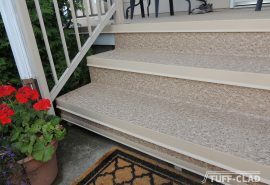 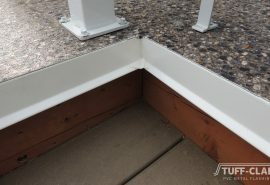 Tufdek vinyl decking membranes are designed to waterproof your deck but what about the other components used in the rest of the deck waterproofing system? 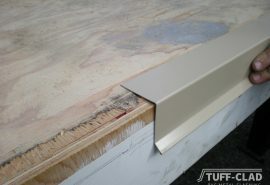 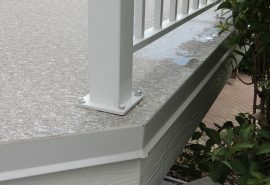 When creating the Tufdek vinyl system, we wanted something beyond the standard (and poorly designed) plastic edge clip, which has been prolific throughout the vinyl decking industry. 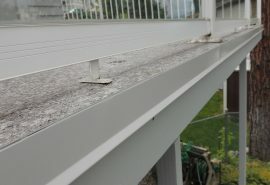 Our research showed that the majority of call-backs and failures were related to water ingress at this failed clip. 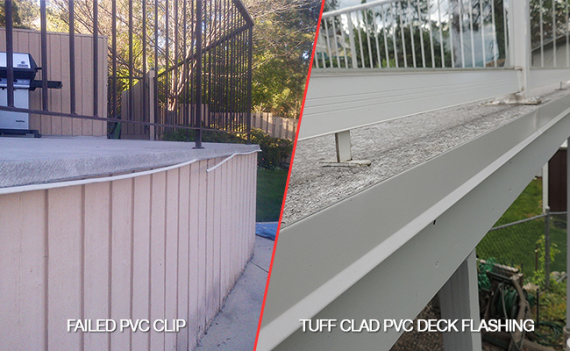 These PVC clips were never designed to last the extended 15-year lifespan of our higher quality Tufdek vinyl decking products. 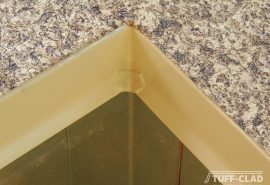 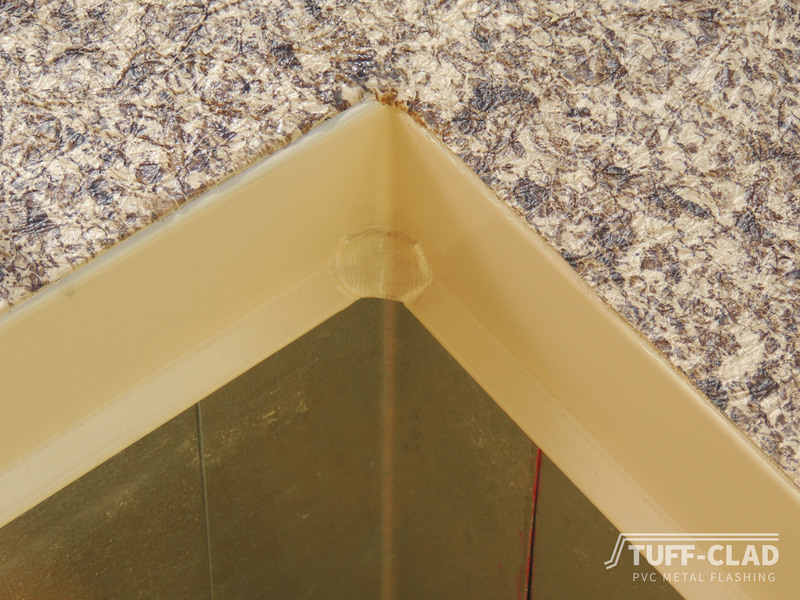 At Tufdek, we decided to examine the waterproofing details used in the roofing industry and discovered that laminated PVC metal flashings were commonly used for numerous details including edge terminations. 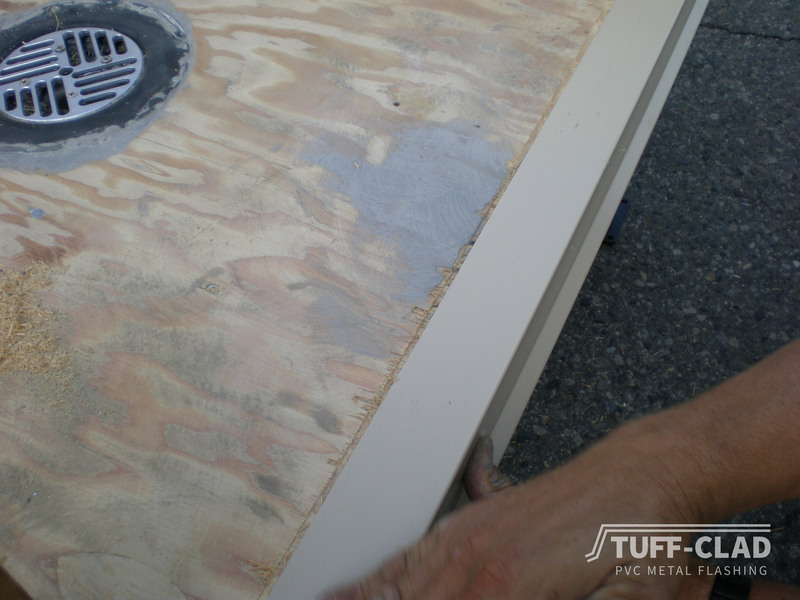 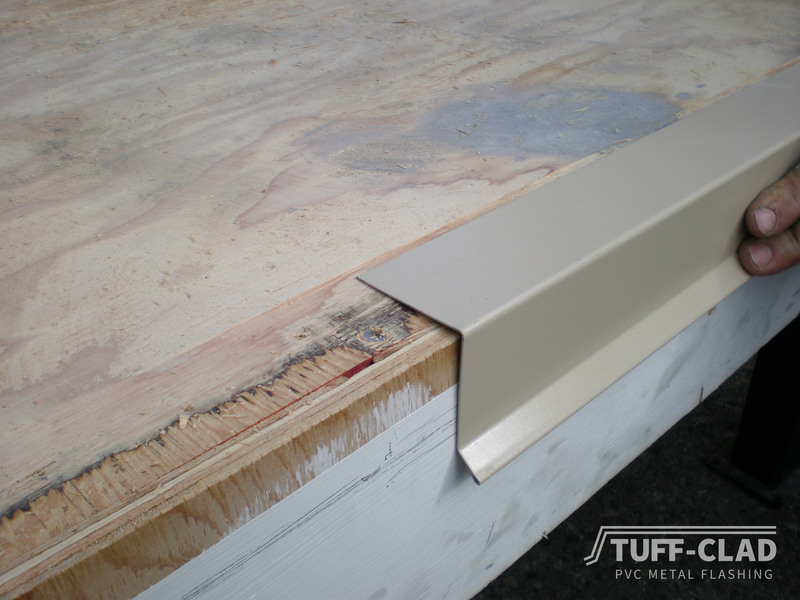 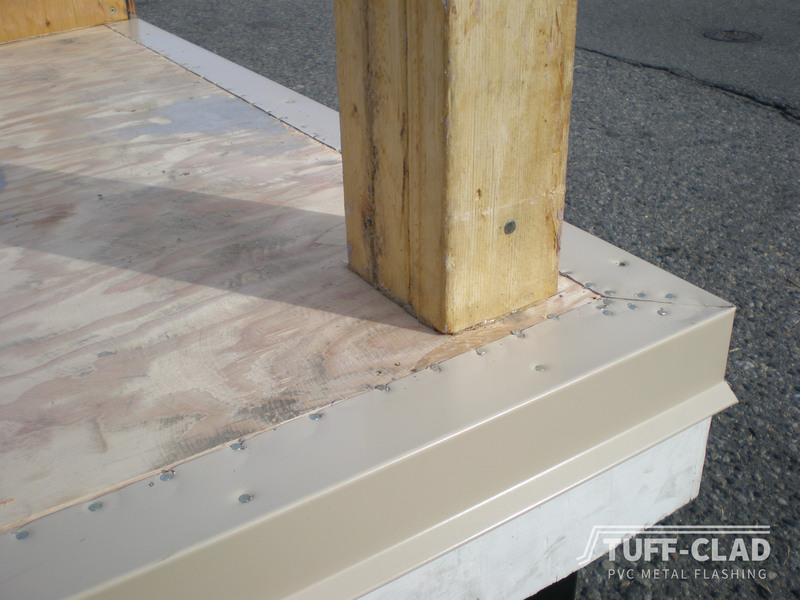 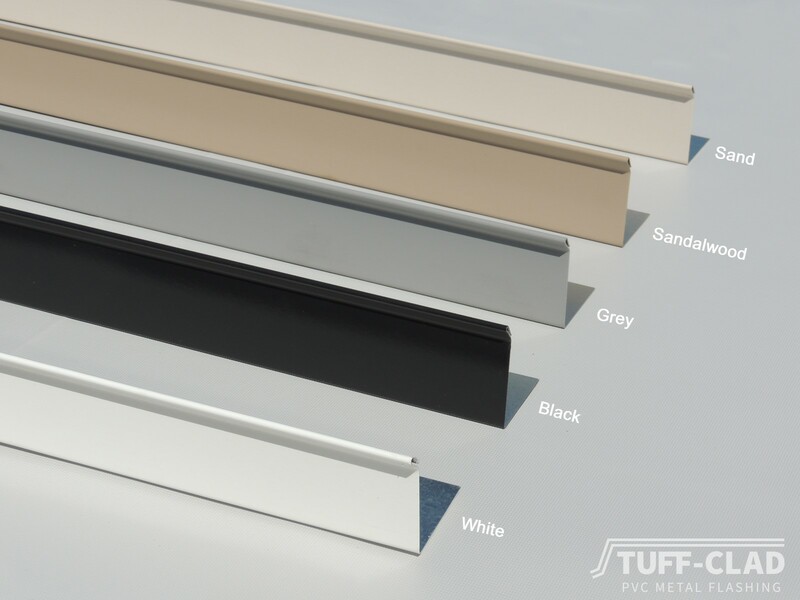 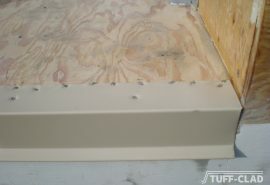 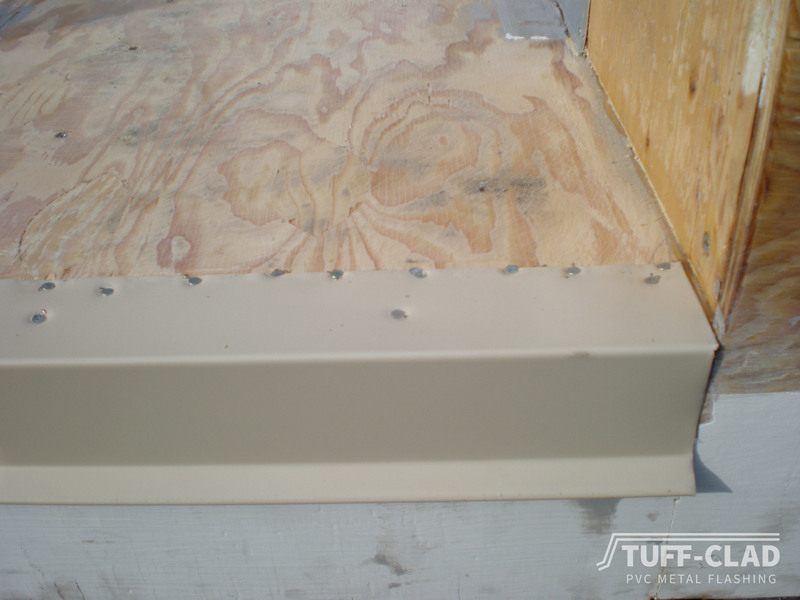 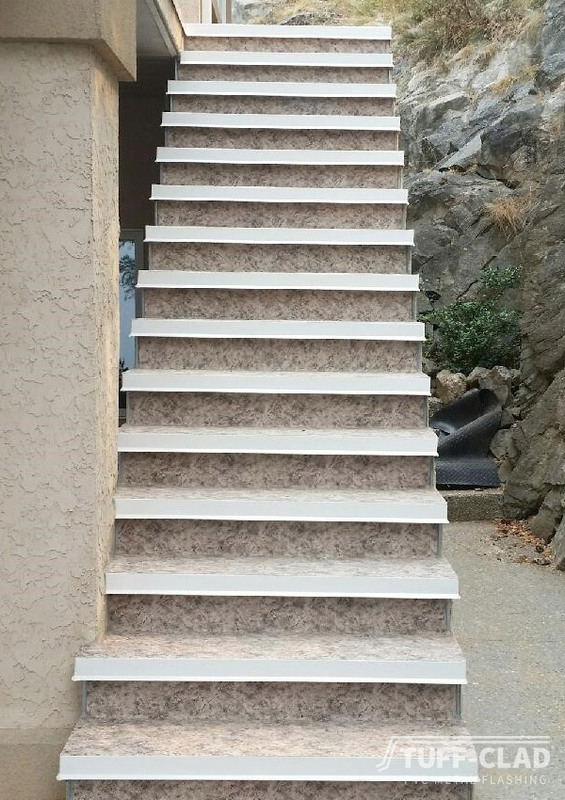 To complete our vinyl deck waterproofing system, we then created Tuff-Clad PVC metal deck flashings using our own proprietary 21 mil PVC film, having it custom milled and then factory laminated to a 24 gauge, G90 galvanized metal. 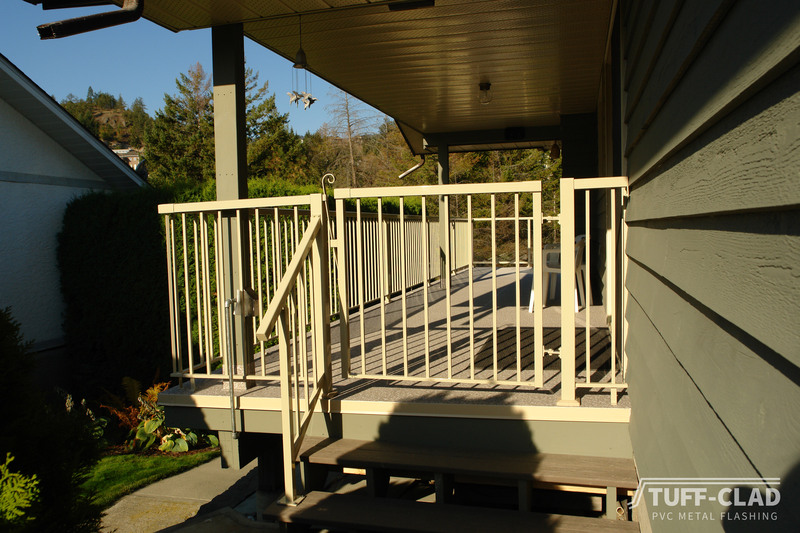 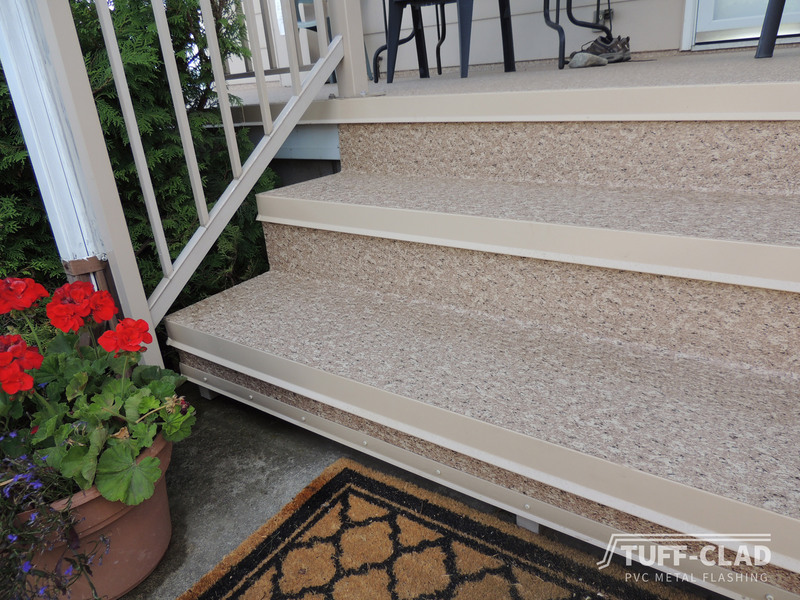 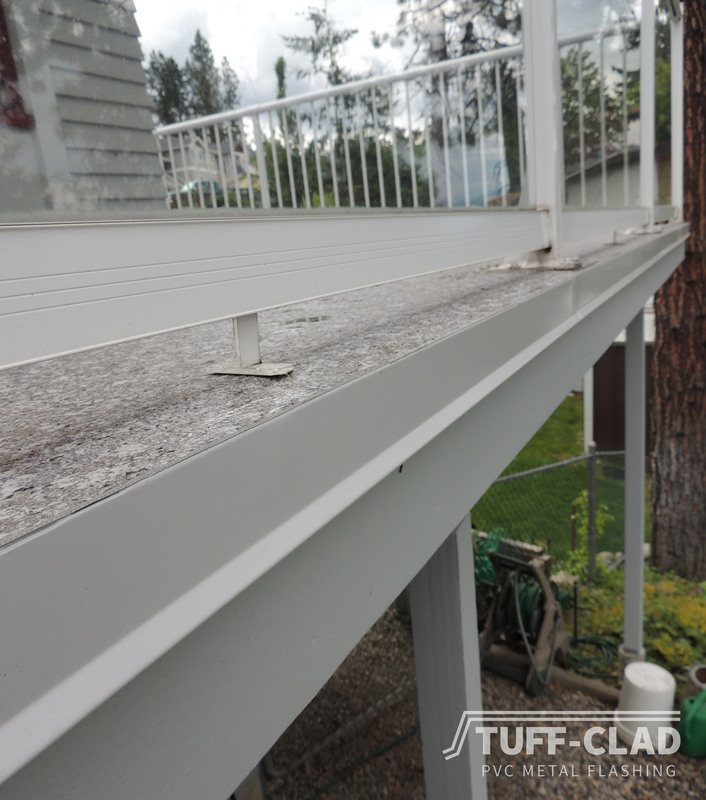 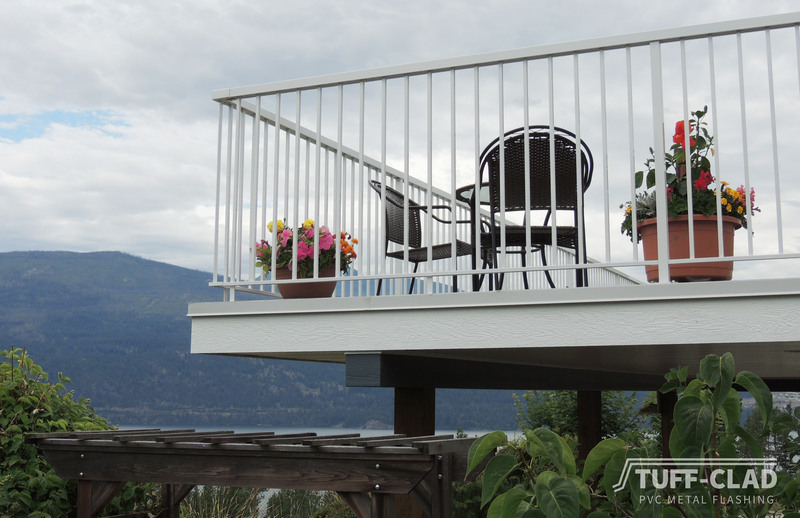 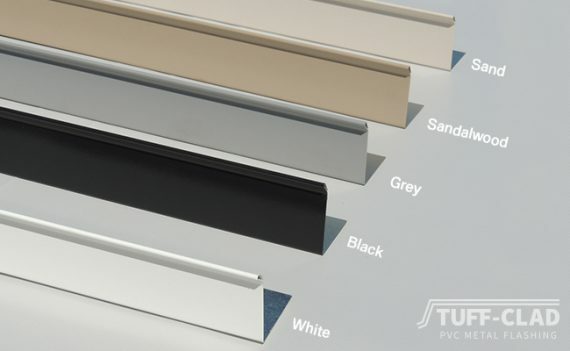 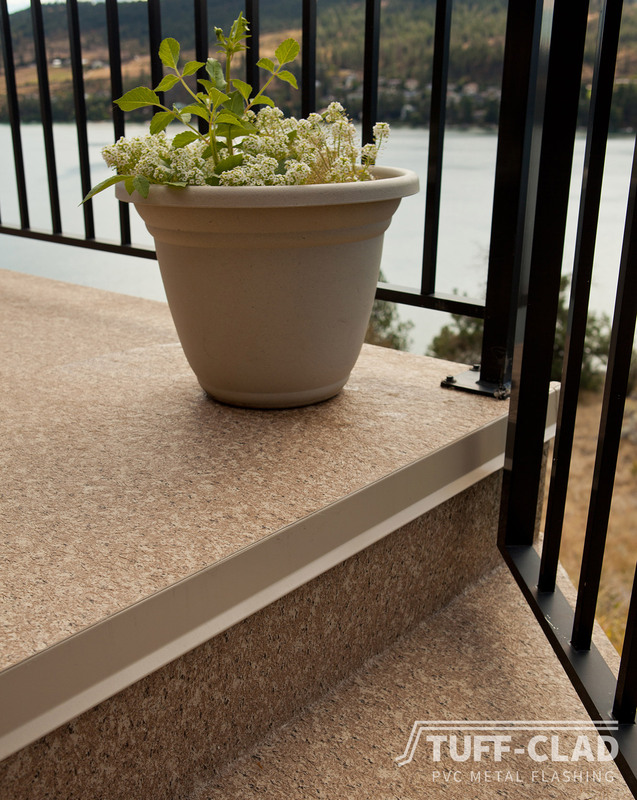 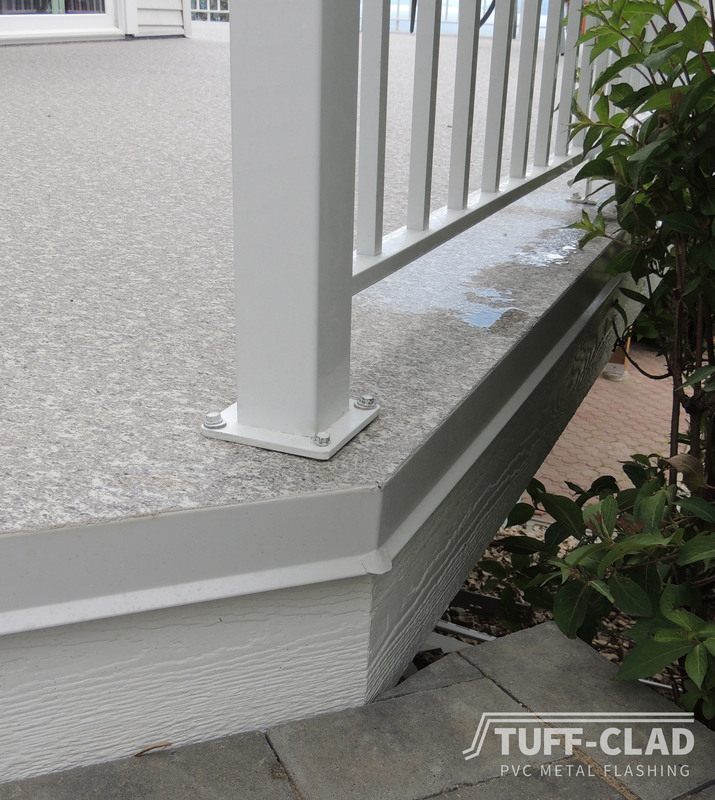 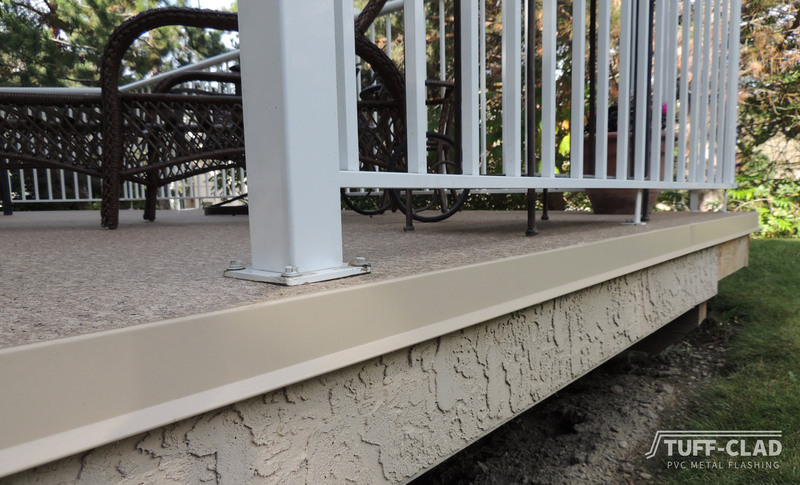 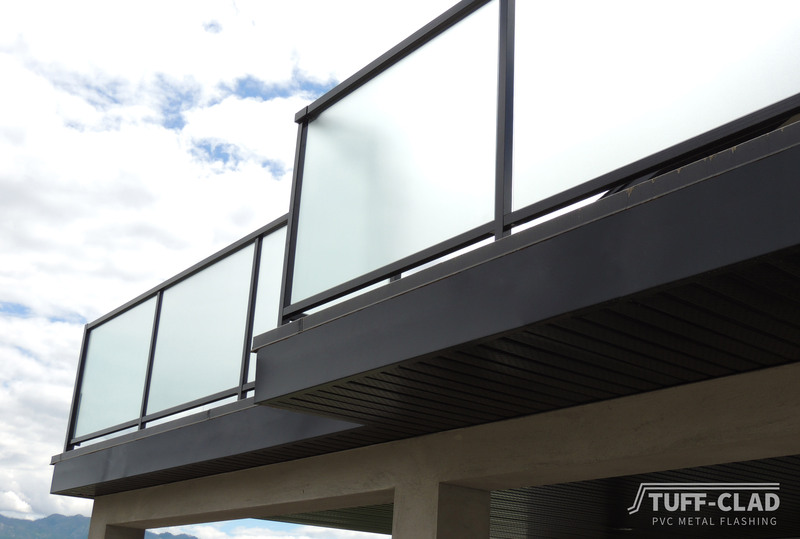 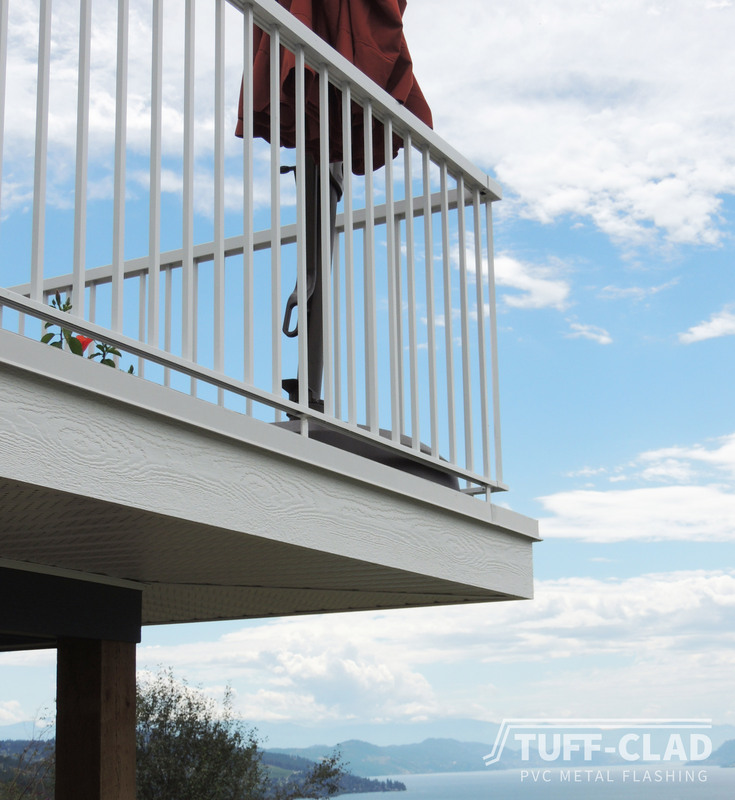 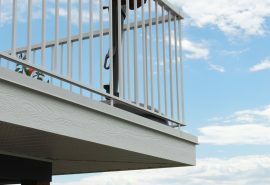 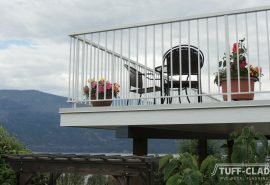 When you purchase Tufdek vinyl decking for your next deck waterproofing project remember that Tuff-Clad PVC Metal Deck Flashings provide permanent, waterproof deck edge protection that will last as long as your Tufdek vinyl decking. 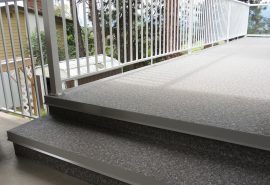 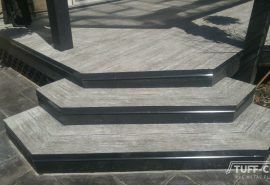 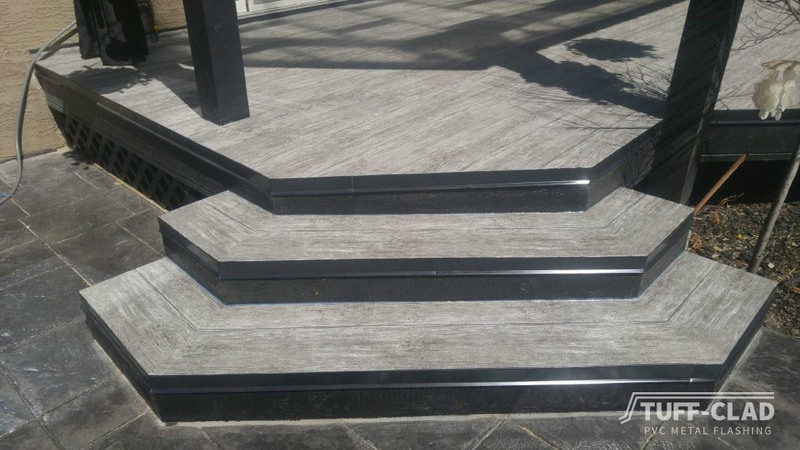 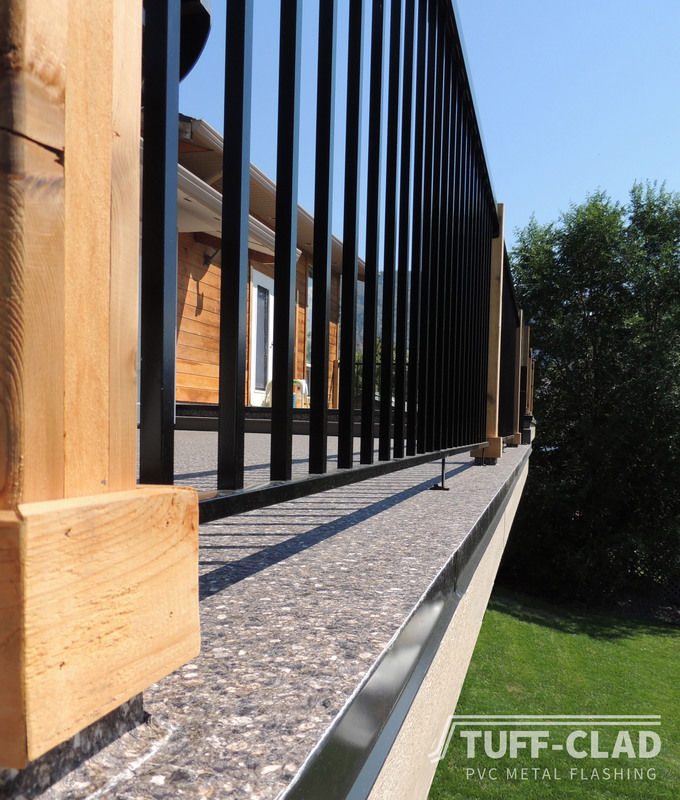 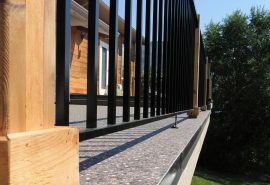 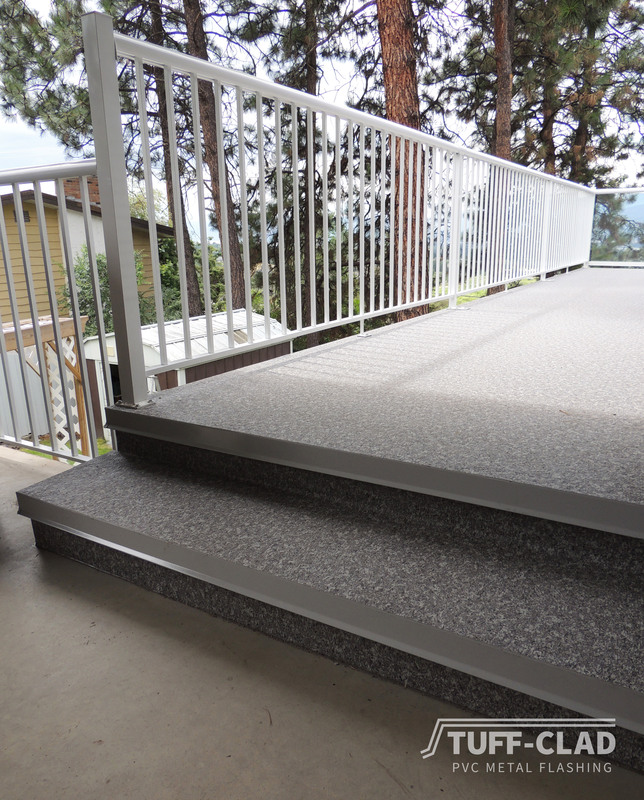 These Tuff-Clad laminated metal deck flashings are exclusive to Tufdek and just one of many high performing details in our Tufdek waterproof vinyl decking system. 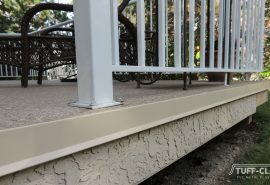 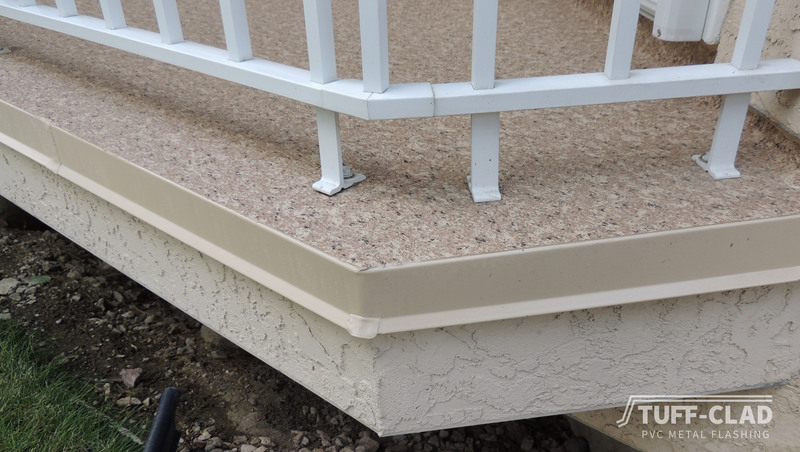 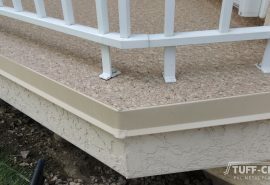 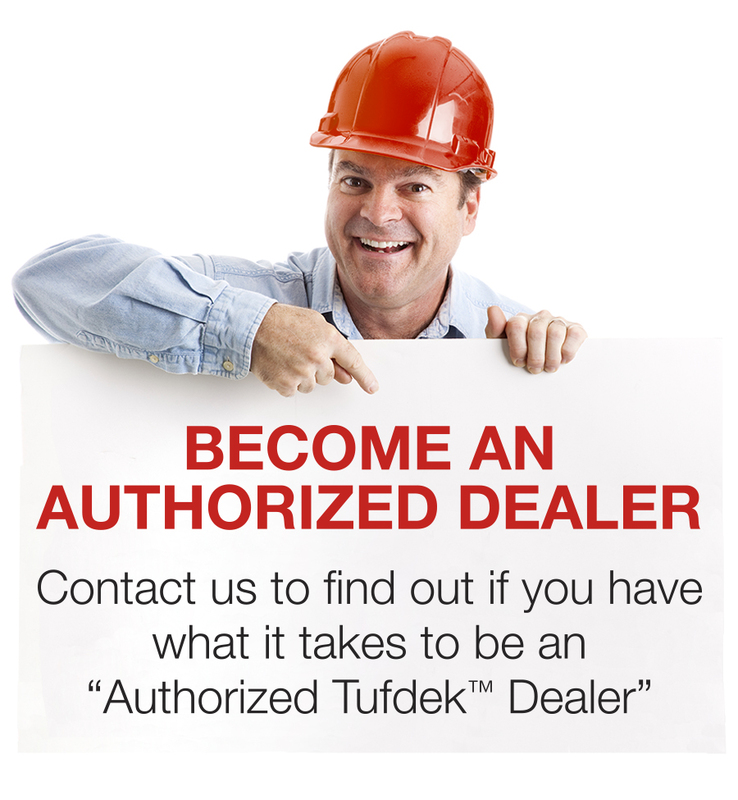 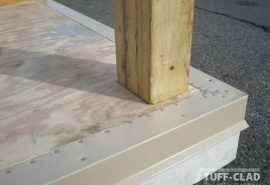 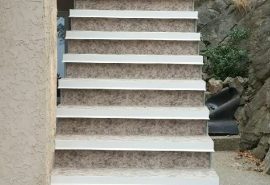 Visit our vinyl deck accessories page to view other deck related waterproofing products.